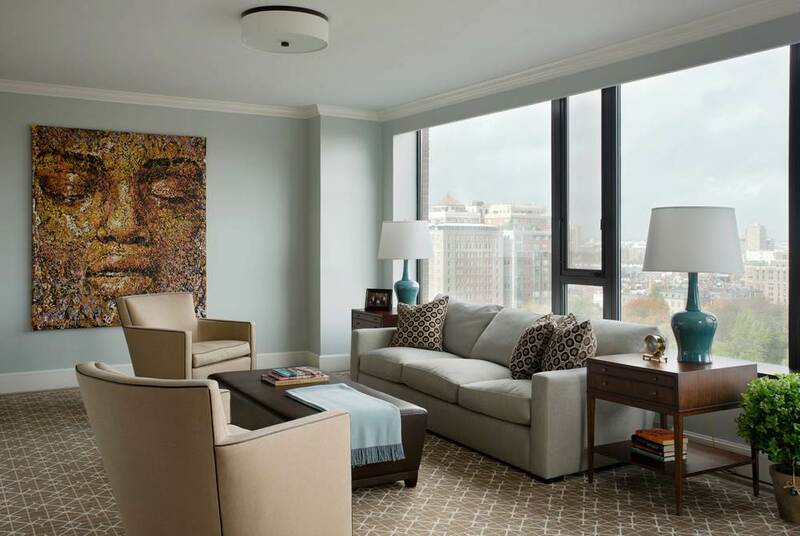 Located on the sixteenth floor of a Back Bay mixed-use building with panoramic views overlooking the Boston Common and Public Garden, beyond to the Charles River and across to the Financial District, the main design driver was to maintain and maximize these views in every room. 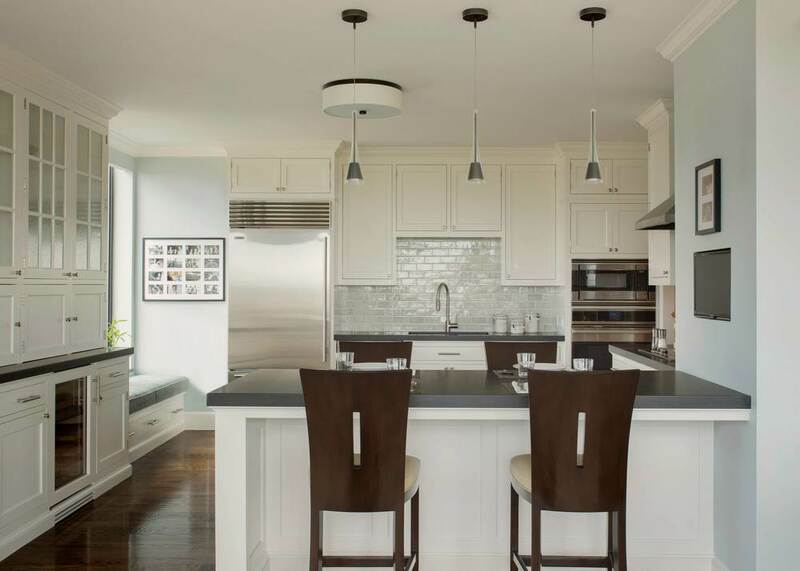 This comprehensive interior renovation of a 2,000 square foot penthouse condominium in Boston consisted of a main living and kitchen area, two bedrooms, and two and a half bathrooms. 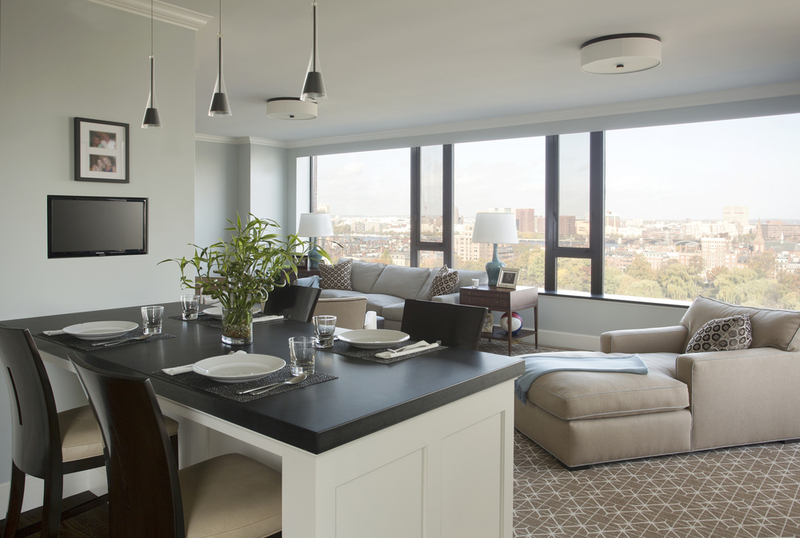 In the main living area, where large spans of glass draw you to the view beyond, extra wide windowsills are finished with 2” thick slabs of black granite to offer an impromptu seating area. 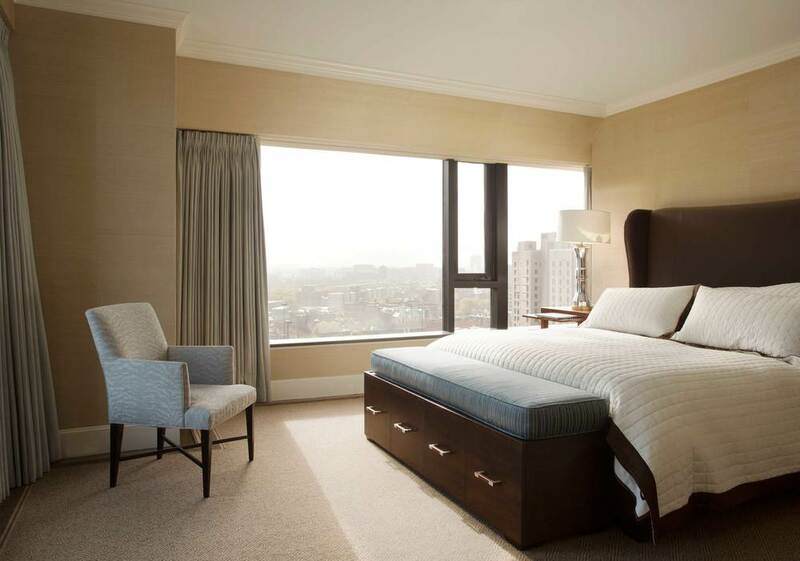 Each glass window wall is fitted with fabric wrapped motorized shades, concealed in custom split soffits, which are seamlessly integrated into the clean planes of the ceiling and walls. The impact of the transformed unit is one of striking cohesion. 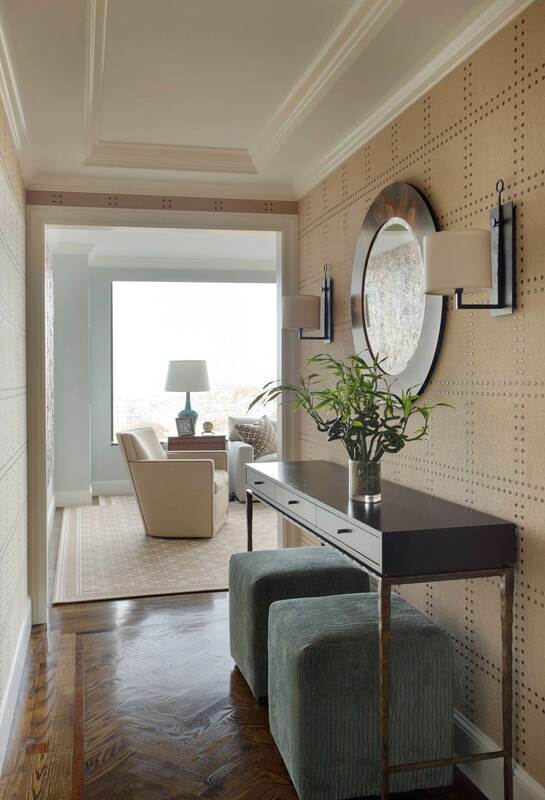 Care was taken by the designers to work within a clearly articulated palette and a thru-line of intention, with a cohesive vocabulary of details and finishes, such as custom trim suite and interior doors, dark-finished quarter-sawn oak flooring, satin nickel hardware, and luxurious textiles, resonating within the larger intention of the residence as a whole, yet standing alone as unique statements. 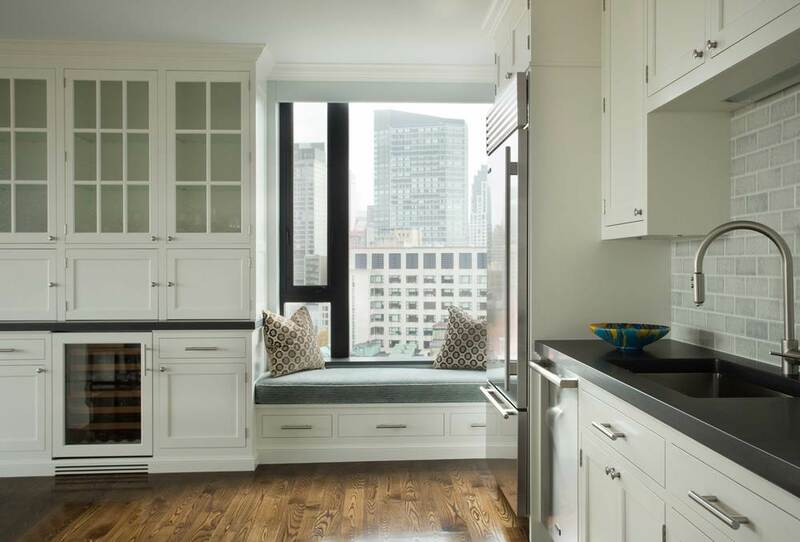 Just as the new suite of millwork and trim flows throughout the home marrying spaces to one another, so too furniture can be moved from room to room throughout the residence, working as elegantly in one place as another.